Bonus clawback looks set to become one of the top trending topics in India's corporate corridors. The clawback would continue — along with the sale of IL&FS arms — to recover as much money as the company could. Bonus clawback, a prospect dreaded by corporate honchos, is back in news following reports that the government wants to take back bonuses and other benefits paid/payable to top IL&FS managers. The government's move comes after the Serious Frauds Investigation Office stumbled upon deep irregularities on the part a number of top executives of the company that is caught in the middle of a Rs 91,000-crore financial mess. A probe in on to find out how independent directors at IL&FS gave their nod to proposals. The SFIO has already arrested Ramesh Bawa, former IL&FS Financial Services MD & CEO. 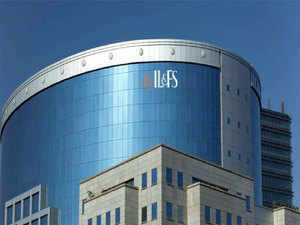 His is the second arrest in IL&FS case, the first being that of Hari Sankaran, former vice chairman of the company. The clawback process would continue — along with the sale of company arms — to recover as much money as the company could, government sources have revealed. Bonus clawbacks are not a new thing, but they have come into prominence in India comparatively recently following rising occurrence and detection of corporate frauds. A number of India Inc giants are now making rules to make good any losses from the executives who may've indulged in unfair practices. Chanda Kochhar was the first high-profile name caught in the latest corporate clawback drama. The ICICI Bank decided to consider her exit (October 2018) as normal resignation but as dismissal after it found that the former CEO violated disclosure norms on conflict of interest. The bank also said it would seek to claw back bonuses handed out over her tenure and that she stands to lose all dues as well as stock options that would have accrued to her. This means it could now be payback time for corporate honchos who may have indulged in business malpractices — they cannot now simply leave their jobs after pocketing heavy bonuses and ESOPs. New rules being framed by the RBI for bank CEOs are about to set a template for all of India Inc to follow. RBI's new rules will provide new guidelines to boards of directors for approving salary hikes, bonus and stock options to the senior most executive. These guidelines are soon expected to make sure that all such benefits are taken back from errant executives. Under the new guidelines, remuneration of banks CEOs is proposed to be linked to indicators such as balance sheet size of a bank, loan delinquency, profits and governance record. The RBI is considering clear-cut clawback terms for stock options and bonuses, making non-compliance of regulatory norms the basis for clawbacks, making ESOPs part of the variable pay, bringing uniformity to how private banks tabulate CEO pay and narrowing the scope to interpret its norms by banks, says the report. According to reports, the coming RBI framework is likely to feature several clear-cut terms that will make it hard for errant executives to go scot-free. These include (a) precise clawback terms for bonuses and ESOPs, (b) making ESOPs part of variable pay, (c) making regulatory non-compliance a basis for clawback, (d) standerdising how private banks tabulate CEO pay, and (e) giving banks lesser scope to interpret these norms. In view of these new developments, clawback looks set to become one of the top trending topics in India's corporate corridors. It could soon turn into a tool all errant corporate managers fear.